CLICK THE PICTURES TO ENLARGE THEM IF YOU ARE STRUGGLING TO SEE THEM. 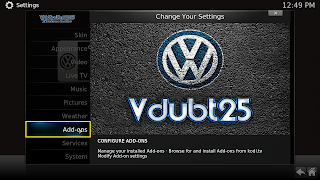 Hi guys here i am going to teach you how to add source urls to your media player/center to get repositories and install 3rd party add-ons that you are looking for. 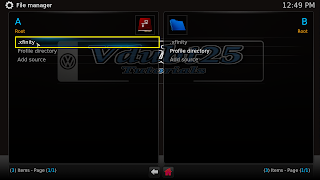 What are repositories/repository, well they are where all 3rd party add-ons are stored using online storage, so that you can add a source url ( web address ) to your media center/player to download the repository .zip and get all the latest updates for the 3rd party addons. 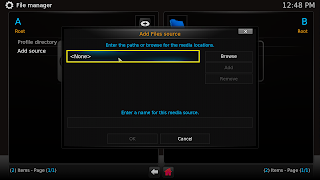 Below i am going to show you pictures to guide you through step by step from starting your media player/center to actually adding a add-on to your setup, in this example i am going to show you using istreams source url to installing the one-click install file. In the below pic after starting your media player/center we will slide to the right to SYSTEM then from the drop down menu as in the below pic we will select File Manager. Now in the below pic from either side it doesn't matter we are going to select Add Source. 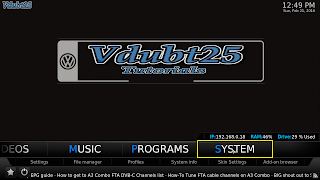 Now in the below pic we are going to select the top box and add our source url, A list of source urls will be listed below and updates as they either change or new ones are found. 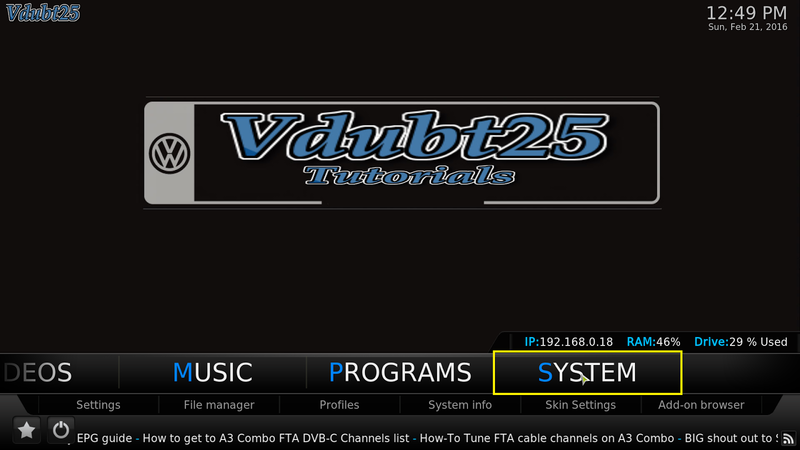 Now as in the pic below input the source url you are wishing to add to your setup, list or source urls are below the pic. Source urls currently what i use. For Mucky Ducks there are 2 try the top one first if that doesn't work try the bottom one. Now in the pic below is after adding your source url you will need to give it a name you can remember it by, a little tip if you add a (dot) . at the start of your names they will always be shown at the top of the list, i will show you what i mean when we get to it. 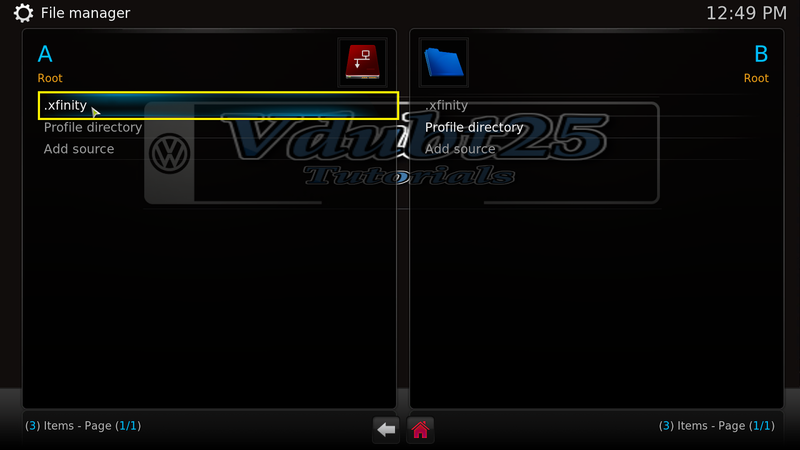 Notice how i added the (dot) .xfinity at the start of the name, once named select the ok button as in the above pic. 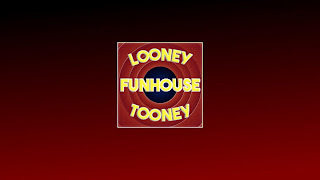 Now you have selected the ok button notice in the pic above .xfinity is now in the sources, GREAT STUFF you have added a source url to your media player/center, now that is done hit the little house at the bottom center, this is called the ( HOME ) button you will see it in your media player/center a lot in different sections clicking the home button will always take you to your home screen ( main menu ) as the below pic shows hit that button. 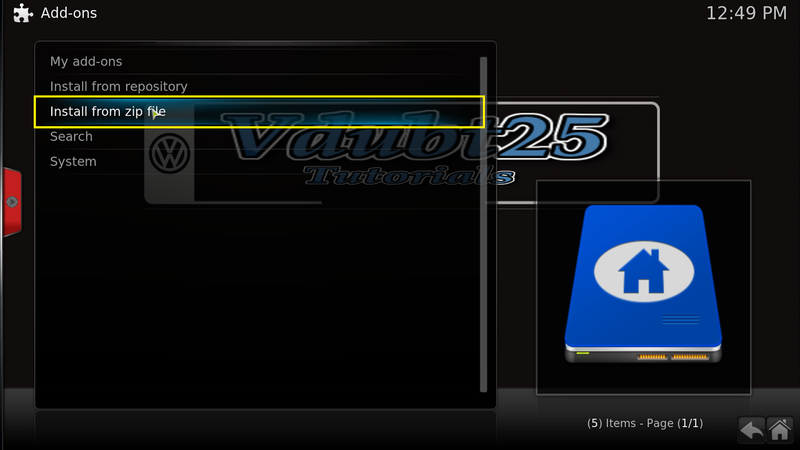 Now in the pic below as you can see the HOME button took us back to the main menu, now select the SYSTEM as in the below pic. 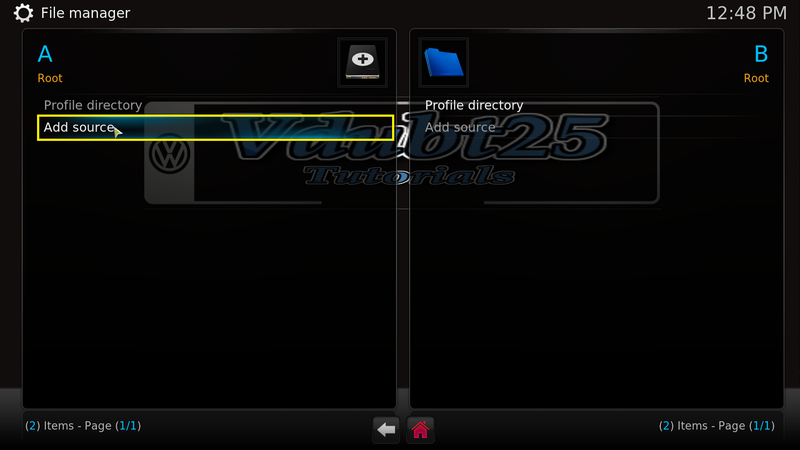 Now as in the below pic select Add-ons from the side menu tabs. Now as the below pic select from the list Install from zip file. 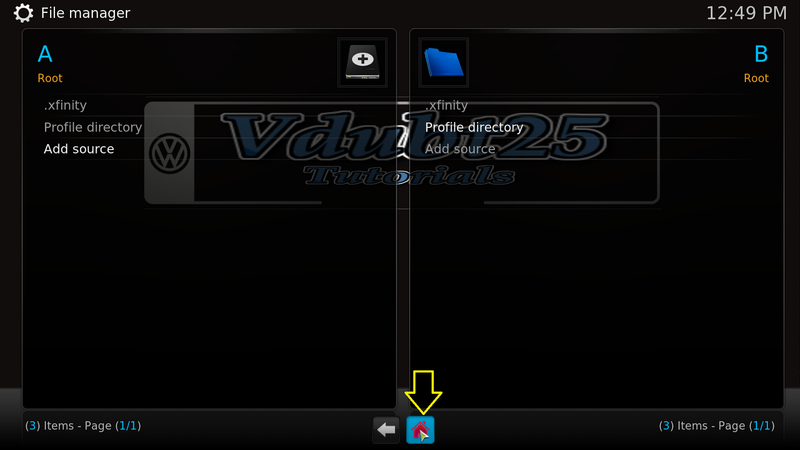 Once you click this a side bar will open with a list of source directory's REMEMBER when we added the (dot) to .xfinity and i said because of this dot it will show it at the top of the list, see below pic. 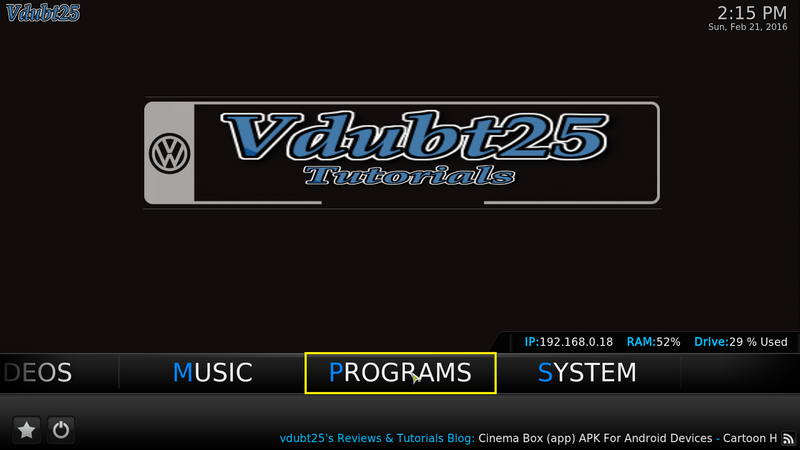 now selecting that source you named it as ( for example in the tutorial i am using .xfinity ) yours will be what you named it when you added the source url. 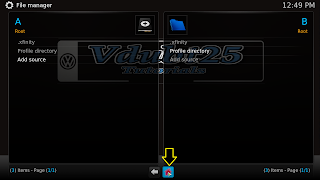 Now after selecting .xfinity notice it takes me to a selection of .zips/directory's for example i will select Istream_Installer.zip there is a repository just under it but the istream installer will add the repository when we one-click install. 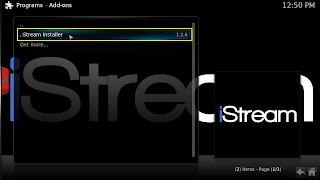 There installed the istream_installer.zip now all i have to do to install and setup istream for a basic setup is exit back to the main menu ( home screen ) clicking the HOME button bottom right. 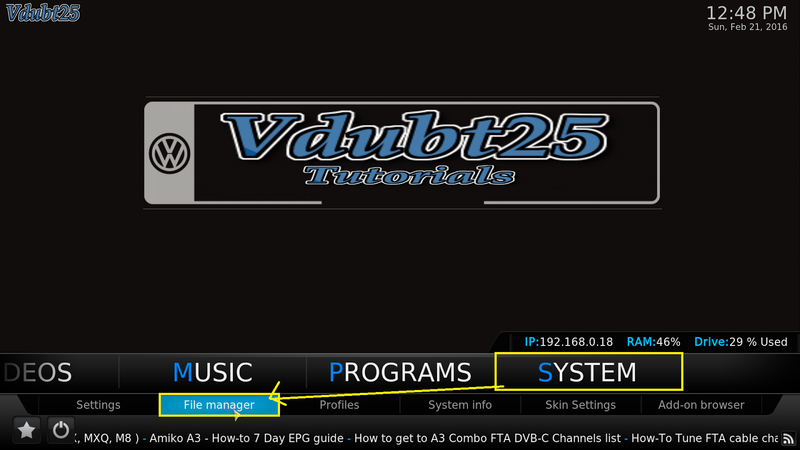 As the above pic select PROGRAMS. 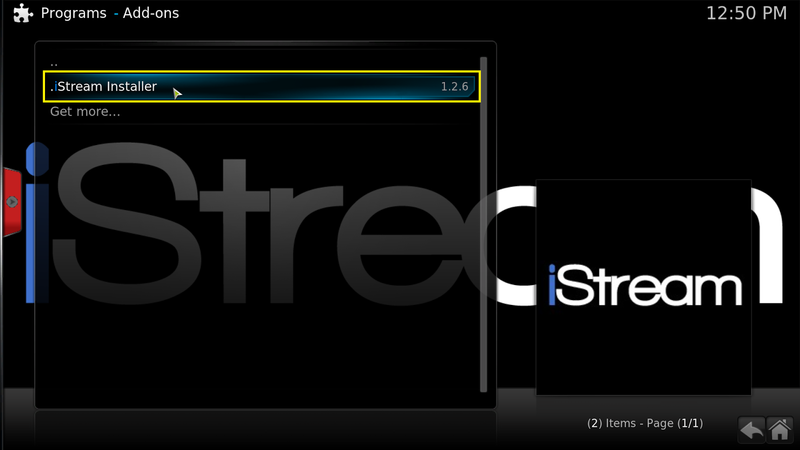 Now Select Istream Installer once in there select the option you are looking for, see below for another tip. 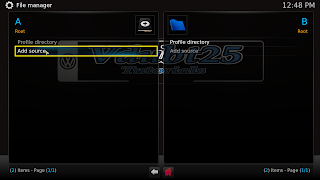 As in the above pic to only one-click install istream select the one highlighted other are skins with istream pre-installed also but will ask you to change skins when they are finished downloading. Well i hope this has been helpful to you guys and it's been a blast for me ( change from a video ) writing this tutorial out for you guys, PLEASE READ THE BELOW SECTION ALSO. 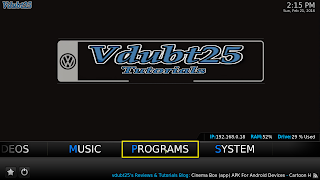 Although THE DEVELOPERS/TEAM OF THIS FREE OPEN SOURCE SOFTWARE has an official repository they take no liability for any of the Add-ons written by 3rd parties. 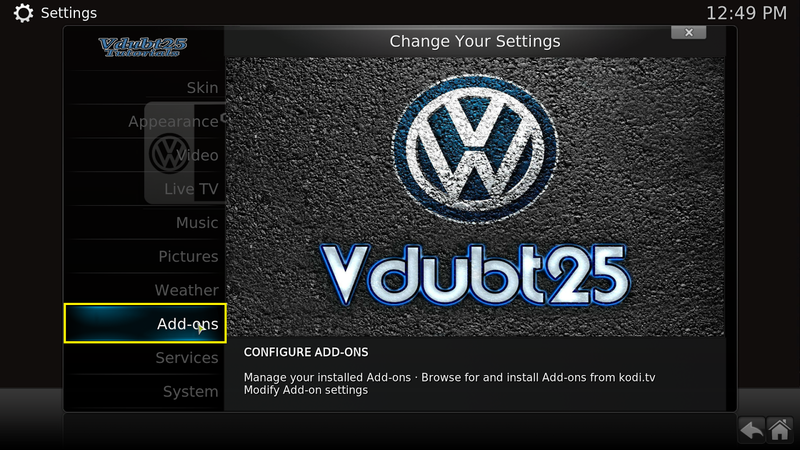 OR DEVELOPERS/HOBBYISTS OF THE 3RD PARTY ADD-ONS FOR YOUR USE OF THIS INFO/ADD-ONS FOR ILLEGAL USE IF ANY APPLY.